Posted byadmin	 24. April 2015 24. 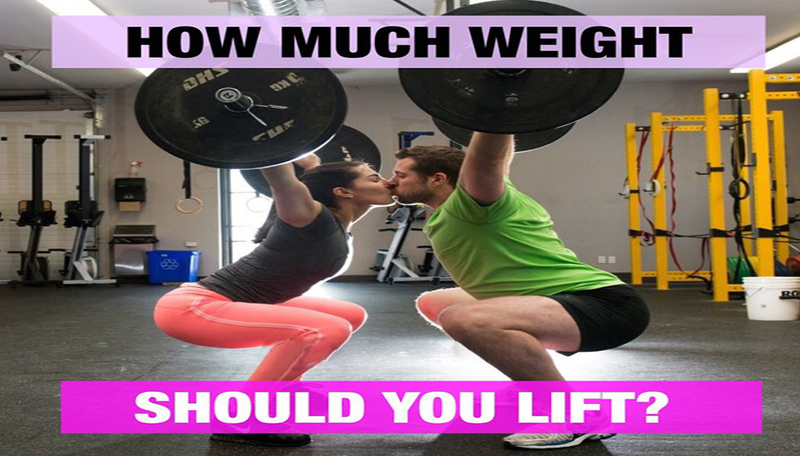 April 2015 Leave a comment on How Much Weight Should You Lift? If you’re looking to get as strong as possible, you’ll be using a heavier weight than someone who is trying to get as big as possible. And to improve muscular endurance, you’ll use an even lighter weight. You must use good form. Perform a true set of 8-12 reps. Of course you can just put a light weight on the bar and stop at 12 reps but that’s not a true set A true set means that you’re very near muscle failure—the point at which you can’t do another rep on your own with good form. If you can do a 13th rep, the weight you used was too light. E.g if you can do only 4-5 reps, the weight is too heavy for maximum muscle-building The sweet spot lies in choosing a weight in which you can just do 8-12 reps on your own. Because your energy starts to sag over the course of a hard workout, choose the most difficult exercises early in your training session, when you’re fresh. How do you know when to go up in weight? Try this method: When you can do 2 more reps with a given weight than you started out with, for two consecutive workouts, increase your weight.